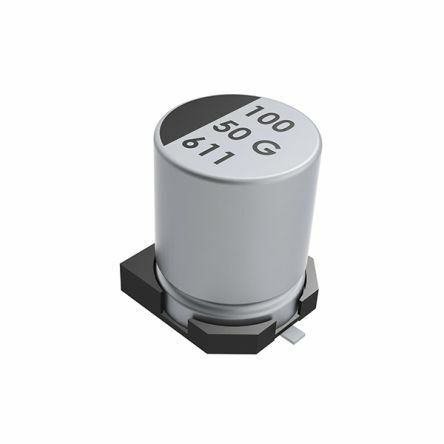 Panasonic M Series Type A electrolytic capacitors feature excellent endurance of 2000 hours at +85°C. 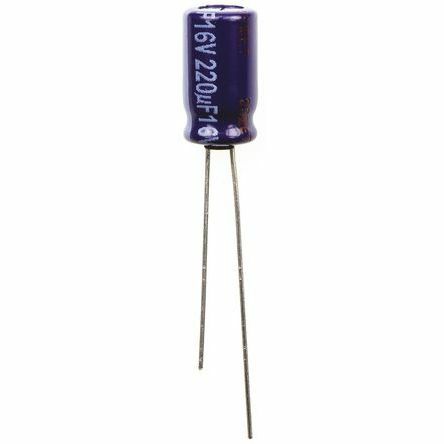 Smaller than SU series High reliabilityHigh ripple currentLow impedanceLong lifeFully sleeved. General purpose V chip SMT designResistant to solvent for upto 2 minutesDesigned for automatic mounting and reflow soldering. 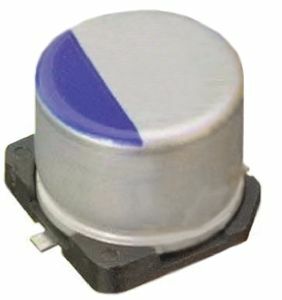 KEMETs EDK series of aluminium electrolytic surfacemount capacitors are designed for high density printed circuit boards.ApplicationsTypical applications include coupling, decoupling, bypass, and filtering. 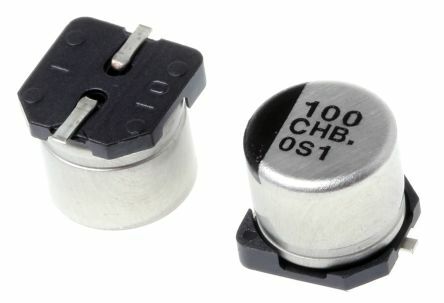 Surface mount lead terminals Low profile vertical chipGeneral purpose +85°C/2,000 hours.